Central Solutions is a technical consulting and product firm with strong roots in data management and engineering. Our goal is to help reduce production costs by increasing water and energy efficiency while maximizing process throughput and achieving corporate sustainability goals. We achieve this through the robust application of data management and visualization best practices, the introduction of Lean methodologies to utility management and assisting clients achieve certification to international standards. The I2E2 Energy Research Centre is a government sponsored industry lead Technology Centre working on behalf of the manufacturing industry in Ireland, to identify, drive world leading research and innovation to reduce on a sustainable basis, both the cost and the associated environmental impact of their energy use. Member companies of the I2E2 have identified water management as one of the key corporate priorities. Central Solutions in partnership with the I2E2 is funded by the EPA and supported by the University of Limerick to deliver a Community of Practice in Lean Water Management. The project has two strands, the development of tools and techniques for water management at industrial sites and the establishment of a water management community of practice to facilitate peer to peer learning of both indigenous and multinational companies. As the global specialist in energy management, Schneider Electric offers integrated solutions across multiple market segments and focuses on making energy safe, reliable, efficient, productive and green through commitment to help individuals and organisations make the most of their energy. At Schneider Electric, business strategy and sustainable development are integrated into everything we do. Schneider Electric has a proven record of leading companies to thriving sustainability programs across economic, environmental and social dimensions. As a global leader in demand, supply and sustainability services, we provide an end-to-end solution that truly sets us apart from others. Integration expertise including strategy, procurement, hardware, software and energy performance services, we have the implementation capabilities for unique programs to meet your business needs. Our approach helps clients accelerate their business performance; no other company can deliver the end-to-end sustainability solutions that Schneider Electric can provide. Caffrey International provide secure and efficient Transport and Logistics solutions throughout Ireland, the UK and Europe. Caffreys operate a Temperature Controlled and Ambient groupage service between Ireland and the UK daily. A Chilled and Ambient Warehouse is available in Ashbourne, Co. Meath. With over 40 years’ experience in the industry, Caffrey International combine expertise with innovation and technology to provide an efficient, cost effective and sustainable transport solution for customers. The improvement of the health and well-being of patients is the objective of the pharmaceutical and life science industry. This is why pharmaceutical companies have to take every effort to meet the highest standards of product quality and safety. Pharmaceutical companies strive for efficient and sustainable production processes. This goal is not easily attained. After all, the production of pharmaceuticals in the GMP environment is cost- and resource-intensive – particularly with regard to energy and water consumption. Whether you are dealing with water, waste or energy – as a long-standing partner of the pharmaceutical industry, Siemens provides you with proven and innovative solutions which not only help you to improve your ecobalance, but which also contribute to increased efficiency and competitiveness. This is realised on the basis of a methodical procedure: analysis, concept, implementation and sustainability. You can rely on our support. energy, water consumption and production data. This allows for the identification of potential areas for optimisation and for a sustainable reduction of energy costs, improved operational efficiency and greater asset availability. 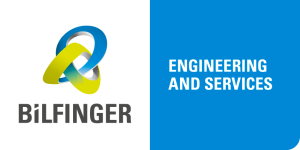 Bilfinger (http://www.bilfinger.com/en/), like no other company, brings together two complementary characteristics: engineering competence and a service state of mind. For industrial companies, the energy sector and users of real estate and infrastructure, we are setting standards with our exceptional performance in countries throughout the world. High quality, technological competence and extensive experience are the foundations of our success. Everywhere we work, we ensure that our clients can concentrate on what they do best; their core business. Through the commitment of our 70,000 people in the engineering and services group we make daily life work: We design and finance, maintain and repair, build and operate. Plant safety is paramount, that’s why Fike is your natural partner when it comes to explosion and over-pressure prevention systems. At Fike we understand the complex legislative environment in which you operate and can take some of this burden off your shoulders. Overpressure or vacuum events can be surprisingly destructive, leading to personal injury, damaged equipment, business interruptions and downtime. Fike’s bursting/rupture discs offer an affordable solution to these problems; with hygienic/sanitary grade options available on several of our ranges. From protecting your complete process line to a single pressure relief valve Fike products are a critical part of your strategy. Many pharmaceutical products pose an explosion risk at some point in the manufacturing process, from initial drying of the powder through to tabletting. Fike manufacture possibly the largest range of active and passive EP equipment available in Ireland and can tailor a complete explosion protection system to your precise requirement. Passive external venting, flameless internal venting, passive isolation equipment and fully active isolation and suppression systems are all available. Fike are also used to dealing with the additional challenges of protecting active ingredient lines. With a substantial Customer base already, our active systems are backed up by a service team second to none in Ireland. Green Business is a FREE and confidential resource efficiency service for all types of SMEs in Ireland. The service is funded by the Environmental Protection Agency (EPA) under the National Waste Prevention Programme with the objective of delivering substantive resource efficiency improvements and cost savings, through waste prevention and reductions in water and energy consumption. Businesses can request a free site visit carried out by our experienced Green Business advisors. A report is then produced which provides recommendations for resource efficiency savings. All information is treated as confidential and is not passed to any other party. Green Business works with Origin Green Companies to help identify resource efficiency opportunities. Green Business identified on average €37,000 in potential savings per company visited in the last 3 years. Green Business has engaged with over 1000 businesses and held 26 Resource Efficiency Seminars across the country offering companies practical advise on how to save money and become more sustainable. For more information see www.greenbusiness.ie or email contactus@greenbusiness.ie or free call 1850 473361.
adi Group Ireland is a dedicated Facilities Engineering organisation. adi Group Ireland has provided quality and effective Engineering Services since our inception of 2006 and has an excellent track record of delivering results and continuous improvement across our client base. adi Group Ireland is not a one size fits all, thereby we provide tailored (bespoke) engineering services and solutions to our clients across many different sectors. adi Group Ireland is first an engineering company whom, have over the many years added different facets to our business model aiding us to develop into a successful facilities engineering group. adi Group Ireland believe in partnership, this takes time to develop, in our experience long term relationships deliver the best value, in terms of results, performance, improvement and cost efficiencies. For this to occur there must be a joint determination (client and adi) to work together, clear goals and objectives driven by structure, strategy, and planning, focussed on increased reliability, application, history and trust. Facilities Engineering – is our core business – Past, Present and Future. First and foremost we are maintenance and engineering practitioners who have a vested interest in best practice development because adi “lives” with the consequences. promote aluminium packaging recycling in Ireland on behalf of the European Aluminium Association. 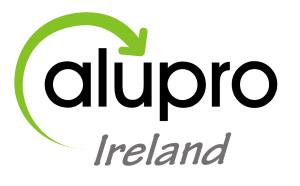 AluPRO Ireland hopes, through working with main stakeholders in the aluminium packaging recovery sector and all interested parties, to raise awareness and focus the public interest on the value of aluminium packaging recycling and the environmental benefit in protecting our natural resources just by recycling our aluminium packaging. 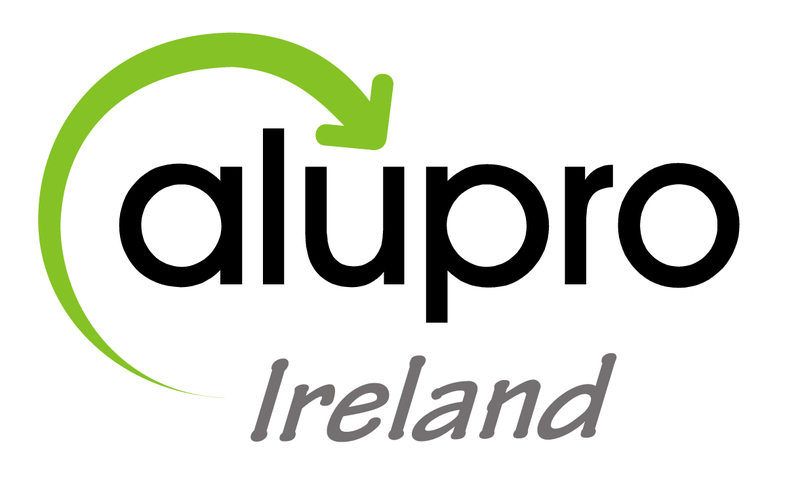 In 2012, Alupro Ireland launched the Every Can Counts Campaign to raise awareness about recycling whilst ‘on the go’ encouraging everyone to count the cans they recycle and do their bit for our environment by recycling them ; At Work, At College, At Events and while out and about. In Ireland we recycle almost 60% of our aluminium cans – but there is more to do especially whilst ‘on the go’! Raising awareness is a good way to help stimulate your community to recycle their aluminium packaging and you can get involved at the click of a button- Log on to www.everycancounts.ie/Contact-Us. Aluminium beverage cans may be infinitely recycled and be back on the shelf in just a few weeks, once you’ve deposited them into your green every can counts bin or can bank for recycling! Just think, by recycling our aluminium cans, aerosols, trays and foils we prevent mining of precious raw material resources, we save energy and water and at the same time reduce our carbon footprint – it just makes sense. Founded in 1958 and with over five decades of Electro-Mechanical industrial experience, and accredited with ISO 9001, 140001 & 18001 certification, Avonmore Electrical Co Ltd is one of the premier Electro-Mechanical service providers to the Energy, Food,Manufacturing, Pharmaceutical, Medical Device and Water companies in both Ireland and the UK.We are the only IECEx Certified Facility in Ireland concerning the repair of Hazardous Area Machines.Utilizing the latest technology on the market to maintain Energy Efficiency during the rewind of motors, pumps and generators (IE 2, IE 3 & IE 4), plus a recent inward investment of over €1million, Avonmore Electrical is well placed to meet all relevant Industry Standards and the requirement for full documentation of all works completed.The success of Avonmore Electrical has been built on an ongoing commitment to excellence, training and technical ability. The core business of motor, pump, generator and transformer repairs and service,is complemented by both a co-located precision engineering facility to cater for all mechanical repairs and an industrial wholesale department which supplies and stocks the latest in Santerno Drives, ABB soft starters, Electric motors (standard and Ex rated) Energy efficient lighting, Scame industrial plugs and sockets, Iskra switch gear, Crouzet controllers, cabling etc. Other onsite services include: Vibration analysis, Dynamic balancing, Laser Alignment, Thermography and Electrical diagnostics. 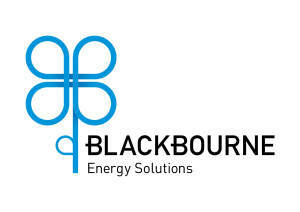 Blackbourne Energy Solutions is one of Ireland’s leading specialists in energy reduction technologies and management systems. The company combines over 55 years’ experience in M&E contracting, facilities management and energy solutions. They have been bringing together a portfolio of products which can reduce production costs whilst maintaining high product quality; something which is of increasing interest to pharmaceutical manufacturers facing a competitive environment and rising energy costs. Blackbourne create bespoke energy saving strategies to meet individual client energy goals and costs using the most advanced and sector compliant, technologies available in today’s market including; Lighting; Energy Management Systems; Intelligent lighting controls and solar PV, to name a few. Investment in energy-efficient technologies may offer additional benefits, such as quality improvement, increased production and improved process efficiency, which can lead to further productivity gains. Blackbourne have an outstanding reputation for the quality of service; skilled engineers, and for delivering ‘on time and on budget. 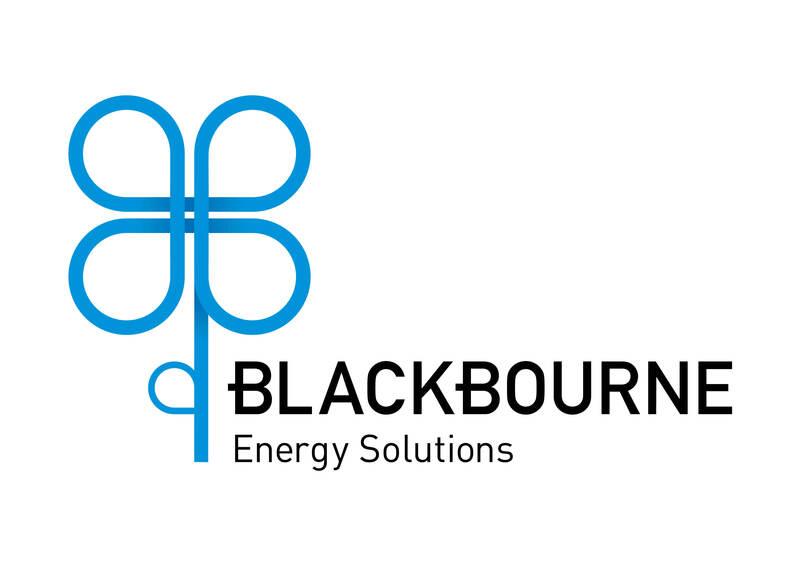 Working with a leading partner, such as Blackbourne, allows you to develop your business, reduce your energy cost and carbon emissions through the best services and proven technological solutions. Kore Energy is the market leader in Ireland in the provision of energy procurement and energy price risk management services, providing services to almost 20% of the industrial and commercial market. Its clients include global leaders in the Pharmaceutical, IT and Food sectors and vary in type from large scale industrial users through to multi-site commercial users. The key deliverables from the Kore Energy service are budget certainty and cost competitiveness. It provides market leading services in energy procurement, risk management, market intelligence and carbon management, ensuring that all aspects of large energy users purchasing requirements are catered for. Formed in 2004, the company has been at the forefront of developing innovative contract structures for Ireland’s large energy users. It negotiated the first fully flexible electricity supply contracts in Ireland in advance of the launch of the Irish Single Electricity Market. The advanced flexible energy supply contracts currently managed by Kore Energy facilitate both fixing and unfixing of forward energy market positions. This allows energy users to reduce their exposure to wholesale energy markets when prices are increasing or during periods of high volatility, without compromising their opportunity to avail of lower prices in the event of markets subsequently declining. Its success is based on extensive know-how, long term customer relationships, strategic acquisitions and continuous investment in R&D. As a result, Zetes’ solutions continue to meet ever changing and specific market needs, including anti-counterfeiting, traceability, e-commerce, competitiveness, efficiency, consumer health, and citizen protection. When combined with flexible (managed) services packages, Zetes continues to deliver every customer peace of mind both during and after the implementation of their projects. In today’s global and highly competitive environment, more and more parameters impact the efficient supply chain: the explosion of information, increased inter-company connections, the crucial need for traceability and compliance with legal mandates. Thanks to ZetesAtlas, the foundation of an innovative and collaborative supply chain starts with robust product identification and serialisation along the packaging lines. Through the full traceability of products and securing your labels, the protection of the brand is determined and regulatory compliance ensured. ZetesAtlas is a packaging execution system that helps you to manage, secure and improve the packaging ID process. It runs on existing packaging lines (retrofit), but can also be delivered with state-of-the-art automatic identification systems. ZetesAtlas benefits from over 30 years of expertise in designing and building robust ID systems, coding and labelling systems. Goliath Packaging Systems, in business since 2007, sources, supplies, installs & after-sales services a comprehensive range of end-of-line packaging, materials handling & industrial washing equipment to the Irish PharmaChem sector with projects successfully delivered during the past 12 months for Norbrook Labs, P&G, Servier, Essilor, TerumoBCT and GSK amongst others while full validation packages (IQ, OQ, PQ, FAT & SAT etc) are available as required to meet URS demands. Centrally located in Nenagh, Co. Tipperary, Goliath is less than 2 hours from all of major markets, while trained engineers maintain spare parts and service all installed equipment with annual service contracts (reactive / preventative) available as preferred. NPP Group Ltd is an independent company, delivering a comprehensive range flexible plastic packaging solutions. 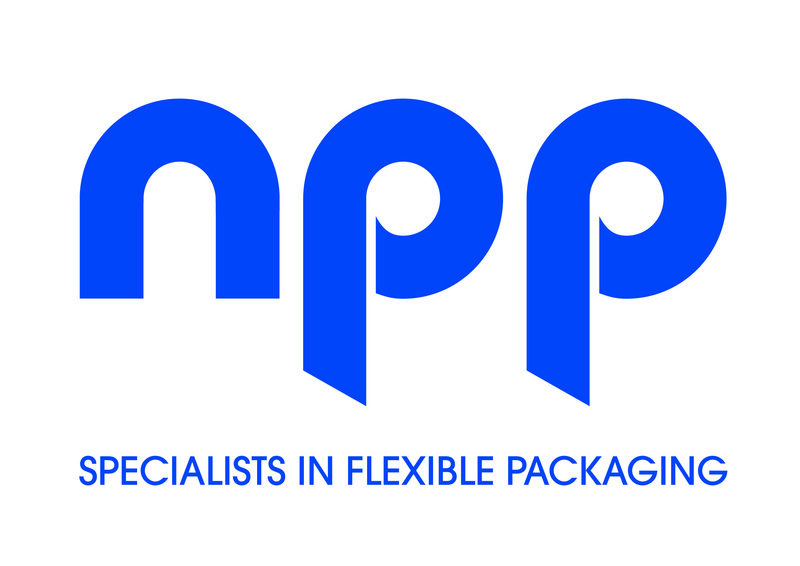 We are 30 years in business and have successfully built up strong customer relationships supplying quality flexible plastic packaging to a wide variety of sectors. We operate from a modern purpose-built premises designed to the highest specifications. In our ANTIstat RANGE we feature Low Density Polythene products and Flexible Intermediate Bulk Containers (FIBCs) bespoke to customer specification. The ANTI Stat LDPE includes Pharmasac® Drum Liners, Box Liners, Pallet Hoods/sheets, polyolefin shrink and light weight LD shrink films. Our Bulk Bags offer a broad range in specifications including formed Q-bags, with conductive fabric’s and liners for charged environments. We are proud to partner many leading blue chip companies including Pfizer, MSD, GSK and Kerry in the Irish Pharmaceutical, Chemical and Food industries. Our FIBC’s are manufactured in a clean room environment where conditions are regulated by I.C.C.E. the most advanced technology available. We first achieved ISO 9002 certification in 1995 we are also accredited to ISO 9001:2008. Our manufacturing facilities are routinely audited to ensure compliance with internationally recognised standards such as ISO, HACCP & BRC/IOP for use of packaging in direct contact with food and to pharmacopeia standards for pharmaceutical applications. Our success in the market is built on strong partnerships with our customers and the sustainable supply of high quality products. NPP identify waste reduction opportunities through innovative product development, value-engineering and specialised technical support to our customers. Drives and controls specialist, Bosch Rexroth, is set to reveal further details on its VarioFlow Plus modular conveyor system. The latest addition to the VarioFlow range has been designed to be fully adaptable and quick and easy to install, to better help pharmaceutical companies accommodate the need for smaller product batches, more frequent product changes, and reduce time to market. Utilising improved sliding characteristics and low friction materials, the VarioFlow Plus conveyor system is the quietest on the market. In addition, fewer joints and less rolling friction in the curves minimises wear, reduces energy consumption, increases efficiency and reduces the potential for downtime. Bosch Rexroth representatives will also reveal how the company‘s ergonomic production and clean room solutions can increase productivity and reduce work related injuries. In addition, engineers, and process managers will get the chance to find out more about how Bosch Rexroth’s CMS Cartesian Robot systems can increase throughput and how its latest drive and control solutions can be seamlessly integrated with existing manufacturing execution and information systems. For further details on Bosch Rexroth’s production and end of line solutions visit www.boschrexroth.co.uk. To download Bosch Rexroth’s latest ergonomics white paper visit http://www.boschrexroth.co.uk/ergonomics. 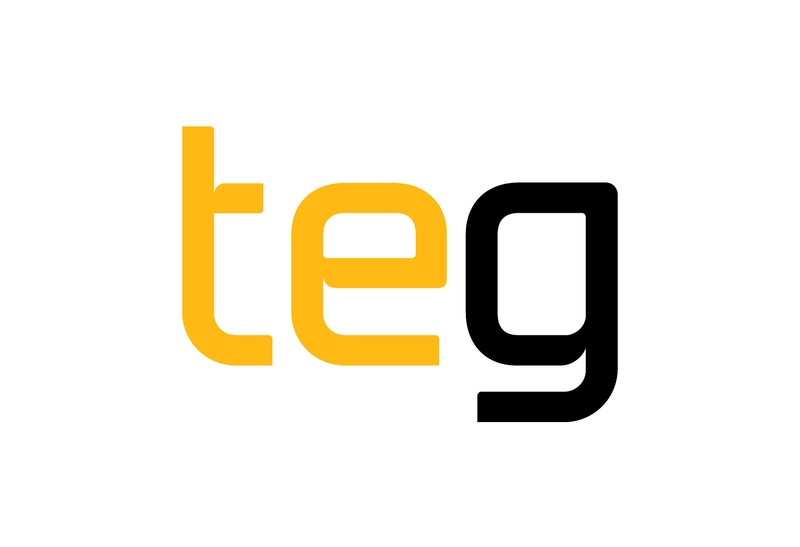 TEG is an Irish precision engineering company focused on pharma and sterile-fill format part design and manufacture. All TEG’s design and manufacturing takes place in their state of the art factory in Mullingar, Westmeath. TEG take great pride in delivering innovative solutions to your everyday problems using the latest in design, metrology and manufacturing equipment, hardware and software. TEG focus on excellent response times and short lead-times which are typically a fraction of the Original Equipment Manufacturers (OEM). All sterile fill projects are delivered with a full set of validation support documentation with material certs, surface roughness certs, coating certification and many more to support your validation. On the pharma side, TEG supply tooling and feeding systems for blister packaging lines, Alu/Alu and Thermoform. They manufacture patented feeding systems for oral solid dose tablets and hard/soft gel capsules. With the launch of their Continuous NG Feeder at the 2014 Interpack trade show, TEG are widely considered to be the experts in tablet feeding. Call TEG today for more information and example case studies. Bord Gáis Energy is one of Ireland’s largest gas and electricity suppliers and is a leading provider of boiler services. Founded in 1976 we currently supply over 650,000 customers with energy in Ireland across all market segments and, to date, Bord Gáis Energy has successfully delivered over 1 million boiler services jobs. Rising energy costs are a significant challenge for many businesses in Ireland and energy costs can make up a significant portion of a company’s overheads. At Bord Gáis Energy we are always working on new and innovative ways to help our business customers save energy and lower their bills. Lighting costs often equate to up to 40% of a business’ electricity costs and an LED lighting solution can help reduce these costs by as much as 70%. As part of our commitment to help our customers lower their bills, we have recently launched an LED lighting solution with our partner, Map Environmental Ltd. As well as helping a business mitigate the risk of rising energy costs in the future, we also offer a range of financing packages which spread the cost of the solution over time. This enables our customers to benefit from the energy savings from day one of the LED installation while preserving valuable capital for core business activities. 70% less energy consumed than fluorescent equivalent lighting. 50,000 hour running life which translates to virtually maintenance free lighting. Improved luminance levels when compared to fluorescent lighting. To learn more about our service offering and to see if your business could benefit from an LED lighting solution, come visit us and our partners at the Future in Pharmaceuticals Ireland event in the Aviva Stadium. ISIS Automation Ltd has been involved in all aspects of System Integration, from Design and Specification to Integration and Commissioning for almost 2 decades. Its strengths are in system integration, optimization or modification that bring all your disciplines requirements into a successfully commissioned system. 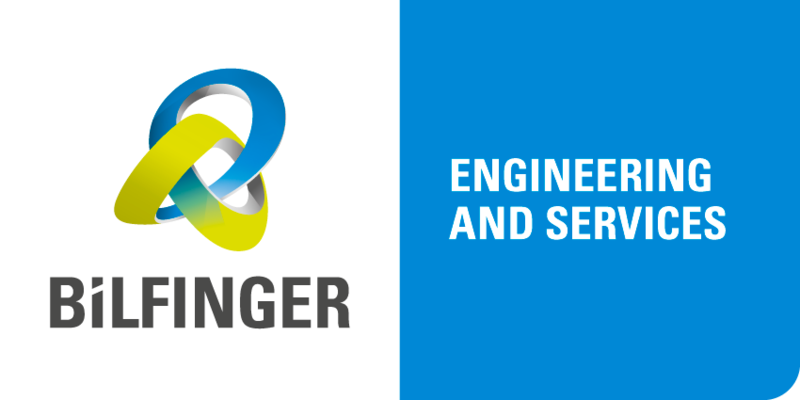 We have undertaken numerous: new mode, system optimization and energy reduction projects and because of its very broad range of experience in a wide variety of manufacturing sectors and industries it is uniquely placed to offer the best solutions tailored to customers’ requirements. It is also the System Integration and Product distribution supplier of choice by ControlStation Inc. for the European region. ControlStation’s innovative and award winning PID Tuning LoopPro™ and PID Monitoring PlantESP™ can be utilised to optimize system PIDs and then continually monitor to maintain that performance. This ensures minimum energy consumption for maximum production return. 4. Production yield increases of 5 – 10%. Could your manufacturing benefit from these improvements? Cpl Science, Engineering, Supply Chain and Construction is part of Cpl Resources plc, the leading provider of recruitment, staffing and outsourcing services. We provide these services to local clients and multinationals through a network of 32 offices in 9 countries. Our team is unique in that we have strategic partnerships with clients across various industries in Ireland and internationally, with each consultant specialising in their own niche field. We offer permanent, temporary and contract solutions, tailored to each of our client’s specific requirements. As a direct result of our reputation for quality service delivery, we are also the first port of call for any new scientific business ventures that consider setting up in Ireland. We truly value finding the best people for the job and provide a superior service to our clients to drive their business success. Ballinlough Refrigeration are the Main Dealers for Thermo King Transport Refrigeration, Dhollandia Tail Lifts, Euroengel Refrigerated Containers & Novum Refrigeration Technology. We also supply & maintain Commercial Refrigeration equipment. Working from our locations in Ballymount Dublin, Glanmire Cork, Ballinlough Roscommon, Oranmore Galway and our newly acquired 20,000 sq ft workshop on 5 acres at Brownsbarn in Dublin 22 we provide solutions for industries from Food Service to Pharmaceutical. Our specially tailored maintenance contracts on refrigeration equipment & tail lifts offer peace of mind to our customers and our experience in the Pharmaceutical Industry is second to none and includes Temperature Mapping and Validation. We also offer a one stop shop in light commercial vehicle fleet maintenance & repair. We take full responsibility of the fleet and arrange all maintenance, repair, damage & CVRT. All our services are available throughout Ireland 24/7. You can check our website www.brltd.ie , call us on +353 (0)1 4600322 or email info@brltd.ie for more information. 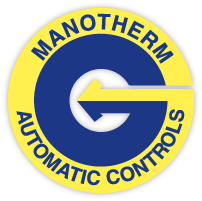 Manotherm is an Irish-owned distributor of control and instrumentation products for industrial and Pharma applications, we have been in business for more than fifty years, having been established in 1958. Anderson sanitary instrumentation includes pressure gauges 63-100 mm dial with tri-clamp and other sanitary connections, pressure transmitters, temperature transmitters, level transmitters, and flow transmitters with surface finish 0.4µm electropolished. We have an excellent understanding of the process requirements of the pharmaceutical sector and are well positioned to provide an outstanding service, holding wide-ranging stock in Dublin and representing best-of-class products. Soltec (Ireland) Ltd is a hazardous waste management company based in Mullingar, Co. Westmeath. Its main areas of waste management include solvent recovery through distillation, solid and solvent based waste recovery through fuel blending and also a range of disposal options. Soltec (Ireland) Ltd is an EPA licenced hazardous waste management facility through License Ref W0115-01. It is also accredited to ISO9001 quality standard for its operation. It has been in operation since 1994 and has grown each year with a sustained investment plan which has given rise to a developed site and developed systems offering its clients a compliant, efficient, cost effective and initiative waste management solution. Soltec offers its clients a fully traceable waste movement record from its point of collection, transport and final recovery or disposal treatment operation. For more information or if you would like to schedule a site visit please either call our main office on 044-93 35133 or email info@soltec.ie. Flexachem, a leading provider of mechanical & process solutions since 1982, have the right mix of products, know-how and after-sales support to guide their customers through all levels of their processes needs. Their main focus is to Ensure Continuous Up-time for your Process and to Reduce Energy Costs through more reliable and efficient process mechanical equipment. Flexachem have an extensive product portfolio for the Pharmaceutical and Chemical industry which includes mixing technology, fluid transfer & control, sampling, PTFE Lined Solutions for corrosive applications, heat exchangers, process & boiler steam solutions and glass lined vessels / TCUs. This portfolio covers all aspects of the modern facility, including process, utilities, product handling and waste treatment. In addition, Flexachem deliver process improvement solutions to assist in mixing time reduction, front end studies and new product introduction. Tank and static mixing applications, pump & mechanical seal, control valve surveys and steam trap testing are a few of the areas their customer base have benefitted from services. Of particular interest is the CFD modelling of mixing applications to reduce the risk of new agitators / performance of existing agitators for new products. Quitmann O’Neill Packaging Ltd is a progressive Packaging stockist, Site Services and now Waste Services Company. Our approach is simple – effective communication, over 30 years’ experience in the industry and the leading manufacturer’s knowledge at our disposal. Leaders in our Industry, we offer a total service experience to our customers. From first contact, we will guide and assist down to the smallest detail. From inception through to recovery we look after your new or used packaging through our network of recycling partners. We pride ourselves on listening to our customers, and as a result we have developed a Site Services division. Working on the customers own site, we segregate, pack and make ready for disposal your waste. In 2013 we opened our licenced waste facility (WFP-G-13-0001-01) in Portumna and began processing wood, cardboard and plastic. We operate our own licenced transport service (NWCPO-12-11102-01) from our customer sites on to our recycling partners. We have identified substantial savings for our customers with our cradle to the grave approach and are continually looking for new ways to improve. Please feel free to contact David O’Neill if you would like to hear more about any of the services we offer. Testo will always keep you on the safe side. Our own research activities and worldwide cooperation with universities, and involvement in internationally recognised committees, are the guarantee for our technical innovations. Testo supports you with all services such as the qualification and validation of pharmaceutical systems and cleanrooms, as well as with certified calibrations of measuring equipment. Whether for long-term or spot-check measurements, Testo offers you GMP and FDA compliant high-tech solutions, robust, easy to operate and easy to clean instruments with a high level of protection from water splashes and dust. Protective covers for portable instruments additionally make sure that splashes of solvents, dirt or impact cannot cause damage. SteriTech are sole agents of Stilmas, Fedegari and Olsa in Ireland and the UK. Within this time, we have remained focused on the regulated GMP pharma and biopharma sector. Our philosophy is based on three key principles: Honesty, Integrity and Technical Excellence. Our aim is to always be the reference supplier for the equipment and services we offer. We have long understood that high quality equipment needs high levels of service throughout the full lifecycle, not just during the initial sale. Our set-up is designed to support all our customers, from the small independent operators through to the large blue-chip multinationals. Rather than just offering ‘off-the-shelf’ items, SteriTech offer real solutions to our customers. The market leading, and in some cases highly innovative equipment we can supply, coupled with our engineers knowledge and progressive approach enable our customers to not only optimise traditional processing, but even to redefine process flows and operations. Over the years we have developed a strong team of skilled and specialised engineers based locally, near our major customer bases. Each engineer undergoes an extensive training program, including full supplier certification and GMP/GDP requirements. Premium Power Ltd. can enhance the reliability and safety of electrical systems and can achieve a significant and measureable return on investment for large electrical consumers. Nine of the top 10 pharmaceutical companies in the world have manufacturing facilities in Ireland. We have worked with all 9 of these companies in helping manage their electrical assets. Costs can be substantially increased if the electrical system becomes unreliable. €150 billion loss in the EU annually due to electrical reliability issues. We offer power analysis services such as protection coordination, short circuit, arc flash, power quality and generation interconnection. We improve continuity of production of high value product by minimising interruption from power quality and supply issues. We consult and provide tools for network management to prevent outages – alarms, breaker trips, fault detection and direction, root cause analysis. We have extensive experience on the monitoring and mitigation of power quality issues. We supply and integrate metering systems, harmonic filters and other power quality mitigation solutions. Manage Risks – Electrical risks need to be managed from a safety and cost benefit perspective. We offer a complete electrical safety package including arc flash modelling, mitigation, safety procedures and training. Energy Cost Management – Billing systems, load shedding, forecasting, benchmarking, production and generation schedules. We supply and manage energy and power monitoring systems with customisable reporting tools. Our software products include Energy Management solutions to large consumers of electrical power. Our Decision Metrix software is used by electrical utilities for Smart Grid compliance testing. We strive to ensure that electrical installations are as safe as possible by measuring and mitigating against electrical safety risks such as Arc Flash hazard. Our team of high calibre Electrical Engineers excel at both the practical and theoretical application of their knowledge.